Alligator apple watch band and crocodile apple watch band strap for sale. All of our alligator skin apple watch bands, crocodile skin apple watch bands are handcrafted by skilled and professional craftsmen. We only offer high-quality and high-end genuine alligator leather apple watch bands, crocodile leather apple watch bands, straps to our customers. We strive to make your shopping experience a positive one by providing first class customer service and high-quality leather bands! Through our commitment, experience, and expertise we want to establish a relationship with our customers that will last a lifetime and see our apple watch bands worn on wrists all over the world. 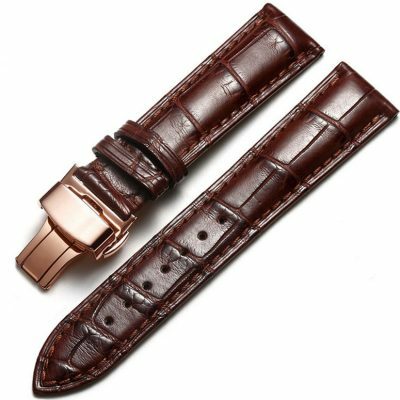 Alligator apple watch bands and crocodile apple watch bands are created from crocodile or alligator hides and as the crocodile is predator, wearing crocodile leather could be professed as being superb and extraordinary. Crocodiles have been lived for millions of years. Crocodile is perhaps the closest living connections or family of dinosaurs. 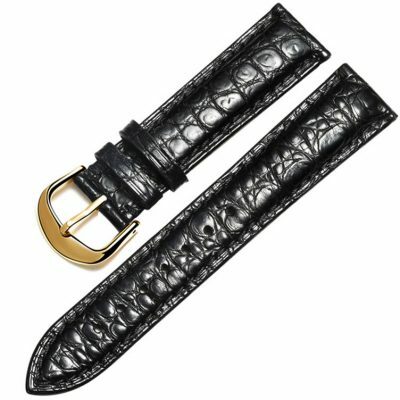 The crocodiles are gifted with hard wearing skins and as a result, the same superiority is also appropriate for crocodile watch bands. These alligator apple watch bands and crocodile apple watch bands are practically unyielding and indestructible. What is more, it is also a good addition to being utilized for apple watch bands, also they are utilized to fashion handbags, shoes as well as belts. The hide of the crocodile is indeed extremely durable and supple material that is comfortable against the skin. It does not cause skin irritation like some metals do, and it is more flexible than many other types of apple watch bands. That is the reason why crocodile apple watch bands are very popular, aside from the prestige factor. It is not likely to be cheap due to the fact that it is made of high-quality materials. Alligator apple watch bands or crocodile apple watch bands are rather costly, however definitely worth the price. The sophistication and class they led to you are undeniable. 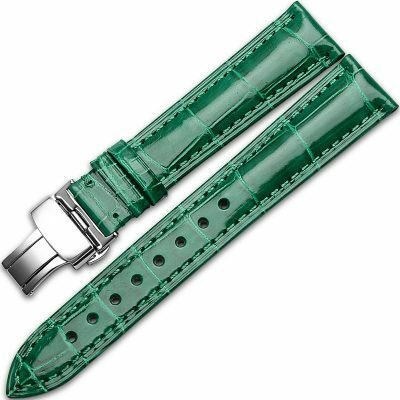 Alligator apple watch bands and crocodile apple watch bands are a good investment as they could go with any outfit, no matter if it is business attire or fashion for a party or evening out on the town. These types of apple watch bands could be worn day without going out of style. 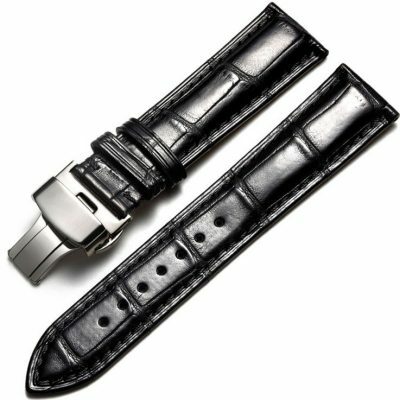 Here, at BRUCEGAO you can choose from the rainbow of colors, sizes, and styles of genuine crocodile leather apple watch bands, alligator leather apple watch bands. Highest quality, double leather construction, stitched with glued and stitched keepers and anti-allergenic buckles. Largest assortment of quick release – no tools leather apple watch bands. Whether you want to update the look of your apple watch with a new apple watch band or your apple watch band has been worn beyond recognition and is broken or falling apart, you’ll find the perfect apple watch band replacement you’re looking for at BRUCEGAO. Instead of throwing away your beloved Apple Watch, simply rejuvenate it with a new apple watch band: it will save you both time and money when you get a replacement Apple Watch band instead of a whole new Apple Watch. Crocodile and alligator are the widely and mostly used type of leather used in the international and high Swiss watch making. Crocodile and alligator Apple Watch bands are some of the more exotic leathers that are becoming quite popular today. It is undeniable how much class and sophistication that crocodile and alligator leather Apple Watch bands lend to the wearer. As such, they are more than just an accessory but a true investment. They don’t come cheap and are rather expensive but they are definitely worth the price. Between the two, however, alligator Apple Watch bands are definitely rarer and thus more expensive. There are some differences between alligators and crocodiles. For instance, alligators have small-sized round scales while crocodiles have large-sized round scales. In addition, alligators have scales on the stomach and their head and tail are quite bony. On the other hand, crocodiles also have scales on the stomach but their head and tail are slightly rounded off. At the same time, sometimes you can find a small ‘point’ on crocodiles’ scales on the stomach that is no bigger than a needle ear. 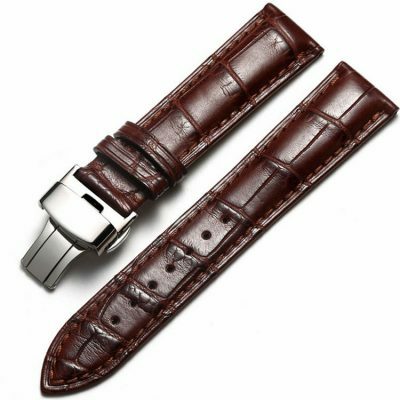 Crocodile and alligator leather apple watch straps are similar but different to each other. Both are beautiful, stylish and sophisticated leather apple watch straps. Alligators are, however, very localized. This makes the alligator leather bands one of the most expensive leathers. Between the square scales on the stomach of alligator and the round scales on the side, the square ones are considered to be more expensive and the other is a bit cheaper. 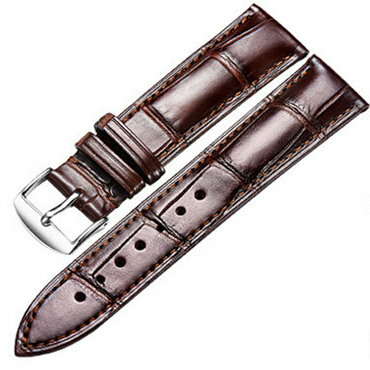 In some boutiques and stores, they let you choose exactly the skin part you want used to redo your leather apple watch strap. You can choose from the different types of scales available. Following that, there are three types of scales you can choose from – the small scales, gradation of scales and large scales. The small scales have small square scales, gradation of scales mean degraded square scales while the large scales have big square scales. Compared with alligators, crocodiles can be found all over the world so you can find a good deal on crocodile leather in more than a few places. The quality, however, you cannot be sure, but there are some tests you can try to test out the leather so it’s better to be familiar with them first before buying. Just remember that if the deal seems too good to be true, then it probably is. Watch is considered one of the essential accessories which you could ever have. It could assist you to organize your daily schedules for your to complete them on schedule and on time. There are watches which have crocodile or alligator skin bands. You need to know that when you have this type of bands, you should clean it most often as it becomes dirty easily. There are a few steps that you have to do for you to be able to clean your crocodile apple watch bands and alligator apple watch bands. Make sure to store your alligator apple watch bands or crocodile apple watch bands in a dry, cool place. 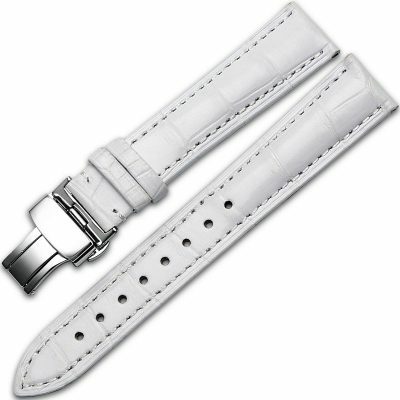 As a matter of fact, alligator and crocodile apple watch bands should be stored and kept dry always as well as out of too much heat. Make sure to store this type of band out of direct sunlight. Once your alligator apple watch bands get wet after you wash your hand, you have to apply a conditioner dedicated to this product after they have totally dried. Doing this will assist avoid cracking of the crocodile hide. 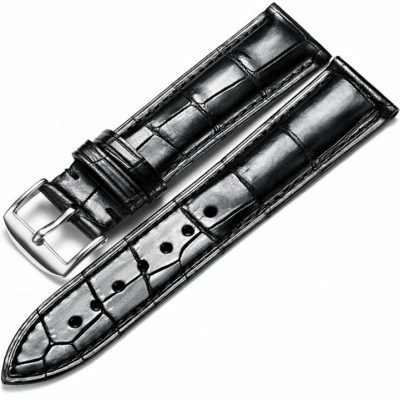 With proper care and attention, your alligator apple watch bands or crocodile apple watch bands will last for many years. Cleaning alligator skin is indeed an extremely easy and simple process. On the other hand, you should be reminded not to utilize the wrong types of products or cleaners on your alligator apple watch bands because of the fact that it might ruin and affect the finish. 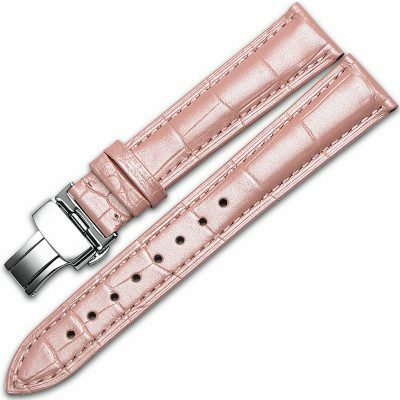 Always keep in mind that utilizing alcohol or chemicals and other solvents on alligator apple watch bands could irreparably wipe out the finish, so make sure to use a safe and appropriate polish dedicated to this product to improve the gloss and the quality of alligator apple watch bands. On the other hand, avoid utilizing polishing products made for typical leather on your alligator or crocodile leather. Tags: alligator apple watch strap, crocodile apple watch bands, apple watch alligator skin bands, apple watch crocodile skin bands, alligator watch bands for Apple Watch, alligator apple watch bands for Series 4, Series 3, Series 2, Sport, Edition.